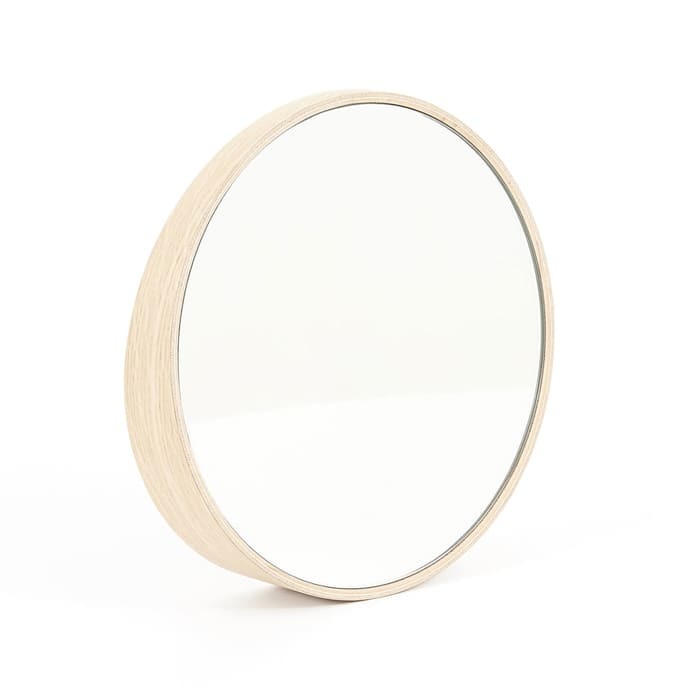 Odilon from Harto is a mirror which can either stand on a table or hang on a wall. When it stands, you can gently push it to trigger its rocking movement. Material: Solid painted oak and glass mirror.